I will be participating in lots of great local art events for the remaining part of 2017! So I thought i’d put all the details into this blog! 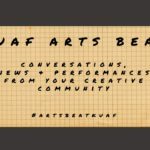 Each event is local, free and everybody is welcome! 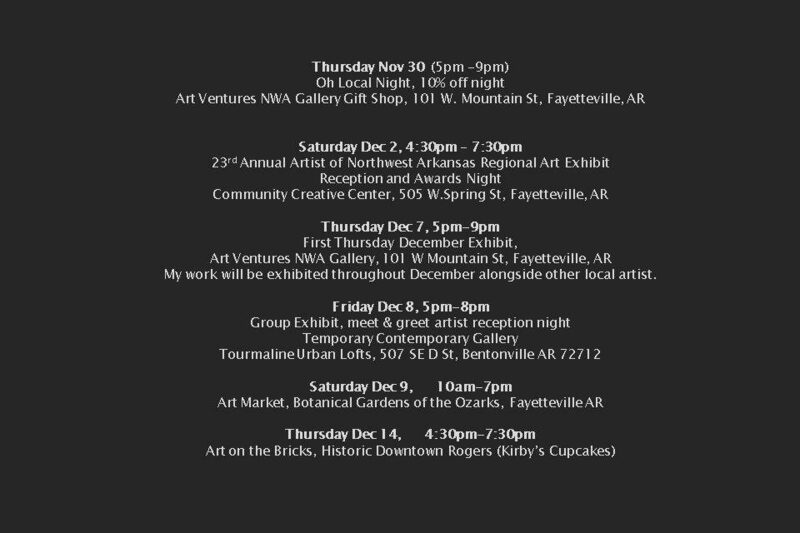 Art Ventures NWA Gallery Gift Shop, 101 W. Mountain St, Fayetteville, AR (previously known as the Fayetteville Underground Gallery). Details: Several local businesses will be participating in this 10% off night. 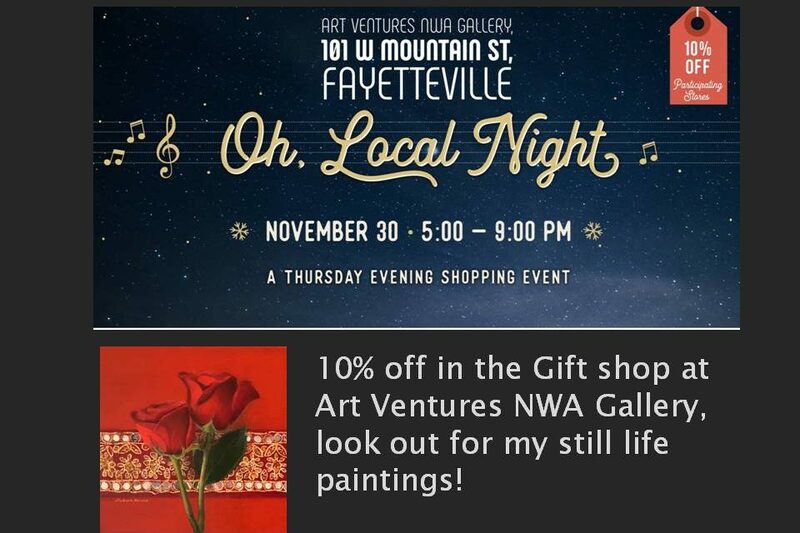 Art Ventures NWA will have 10% off gift shop items. 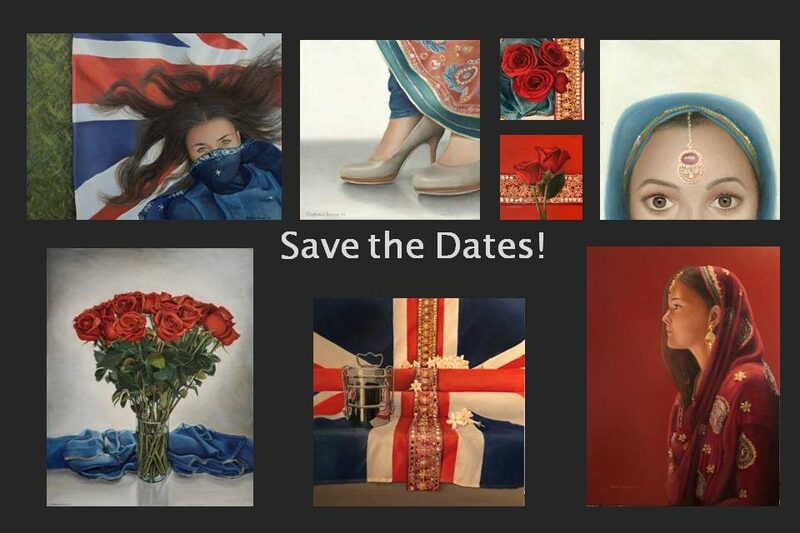 I will have 2 still life oil paintings available at a discounted price for this event. Details: This is my very time to be voted into this local Juried Exhibition! Come and join me at the reception night and see all the artwork that got voted into this show. My Juried original oil painting will be available for sale here.My artwork will be displayed here until January 8 2018. Details: My work will be exhibited throughout December alongside other represented gallery artist. 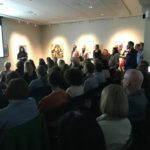 First Thursday is an amazing community event that I love! 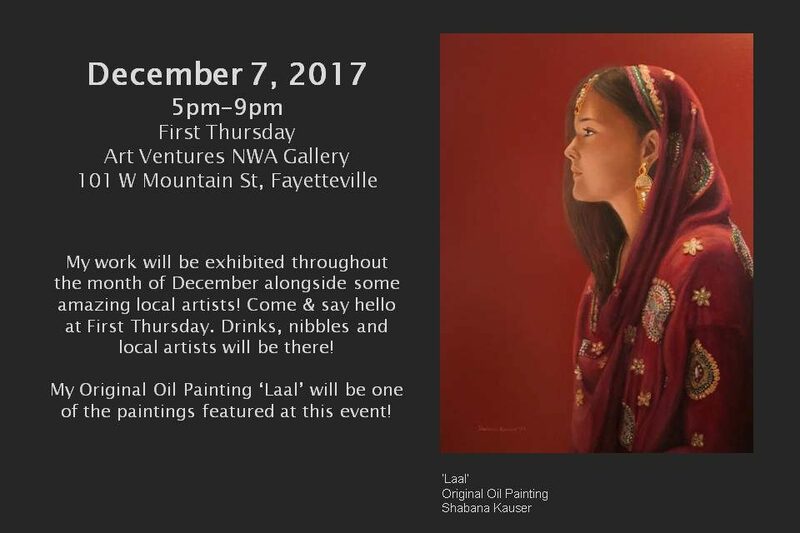 Come & join us at Art Ventures NWA, we will have drinks, snacks, meet local artists and pick up some unique Christmas gifts! My artwork will be displayed here until December 31st 2017. 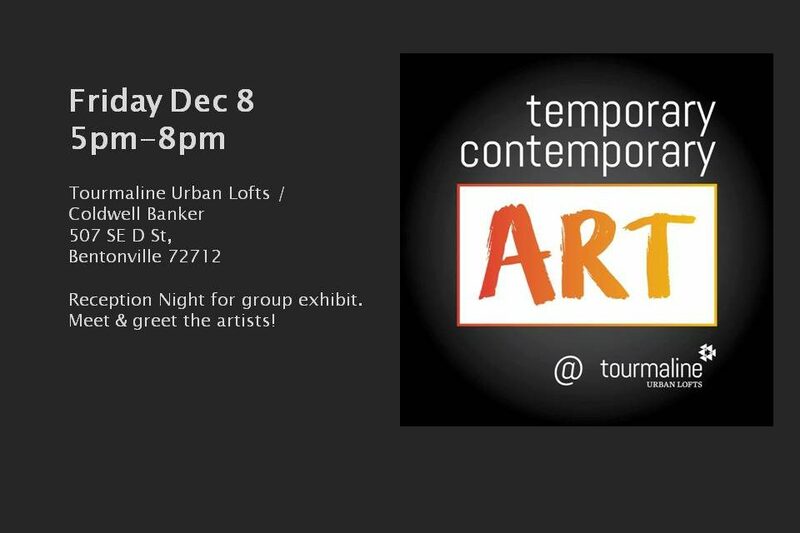 Details: This Open Reception night will be a great evening to speak to all the artists involved in this group exhibit. They will have wine and snacks too! 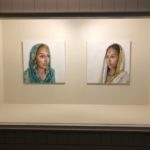 This exhibit runs from Dec 8 2017 – February 11 2018. 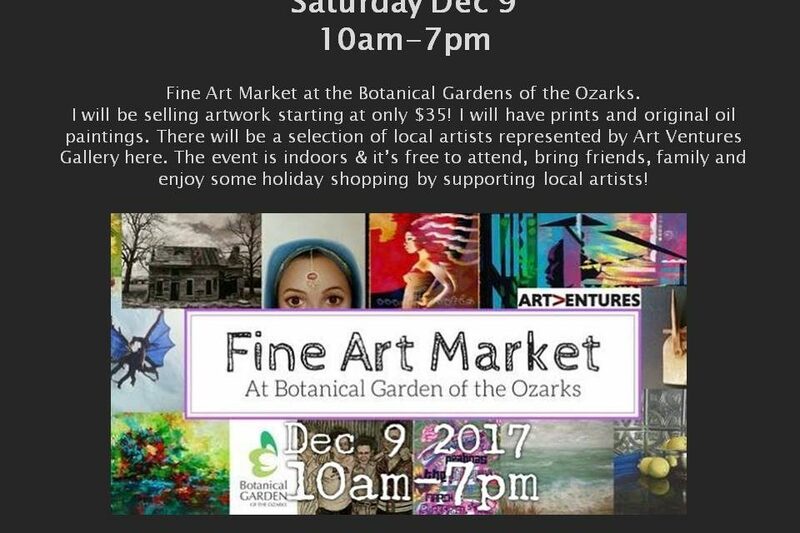 Details: Organized by Art Ventures NWA, there will be a selection of local artists with booths at the Botanical Gardens of the Ozarks. Each artist booth will have affordable art that makes a great gift. I personally will have prints starting at only $40 and small original oil paintings starting at $95. This is an indoor event and everybody is welcome. This event is for one day only for the times shown. 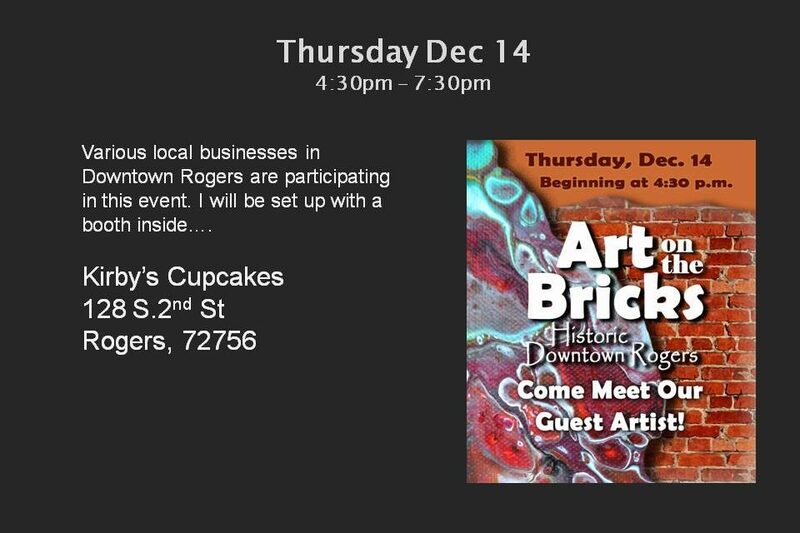 Details: Art on the Bricks has various local businesses in Downtown Rogers that allow artists to set up a booth for the event. I will be located inside Kirby’s Cupcakes, 128 S.2nd St, Rogers AR 72756. I will have original artwork and prints available. 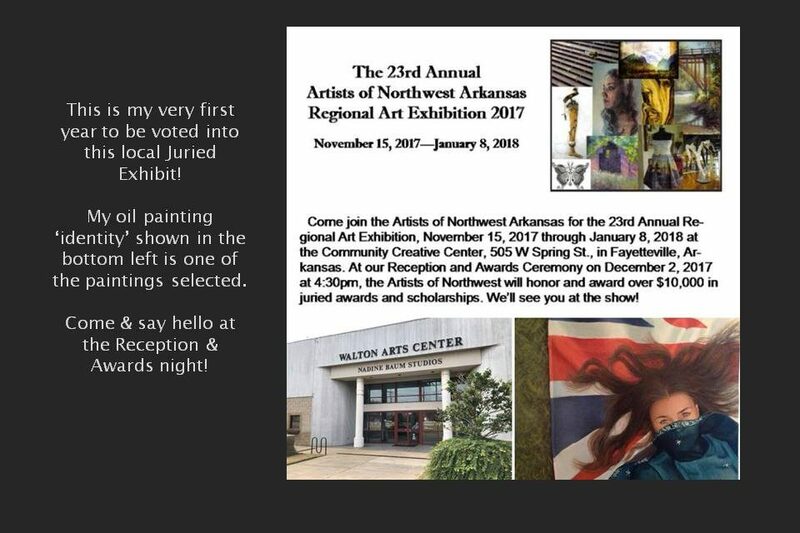 My artwork will be displayed in the main lobby at the Chamber of Commerce until January 15 2018.